Unofficial RAG week has landed, albeit with no backing from either NUI Galway or Galway Mayo Institute of Technology. It’s 10.30am on a Tuesday morning in February, on Eglinton Street in Galway City. Students have being here since 9am or earlier, anxiously waiting to kick off their day in style. 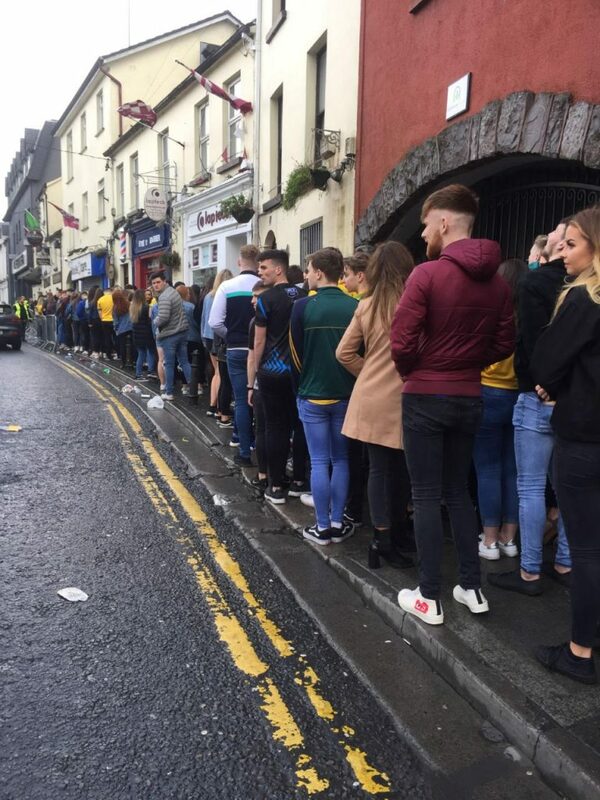 Hundreds of desperately thirsty students have gathered to get into the Hole in the Wall pub on Eyre Street, where the beat of the music can be heard around the corner onto Eglinton Street. The Gardaí patrol unit is plain to see, driving up and down and keeping an eye on things. In recent years this particular event has caused huge problems, particularly for those living in residential estates. Supermacs tells a different story, with some students getting sick in the toilets while the others are asleep on tables, worn out from it all.